Industrial-styled interior and exterior architectural design are one of the most hyped architectural styles of the last years. Prague306 project should be considered one of the definitions of this type of projects in Poland. The original land holding company, Electrotechnical Plant Bracia Borkowscy, took possession of the land in 1911. Ten years after that, many factory buildings emerged on site and an inner courtyard was created cutting off the surrounding streets. Almost all sections and buildings of the complex, are under conservation protection and just a quarter of the buildings consist of post-industrial buildings. 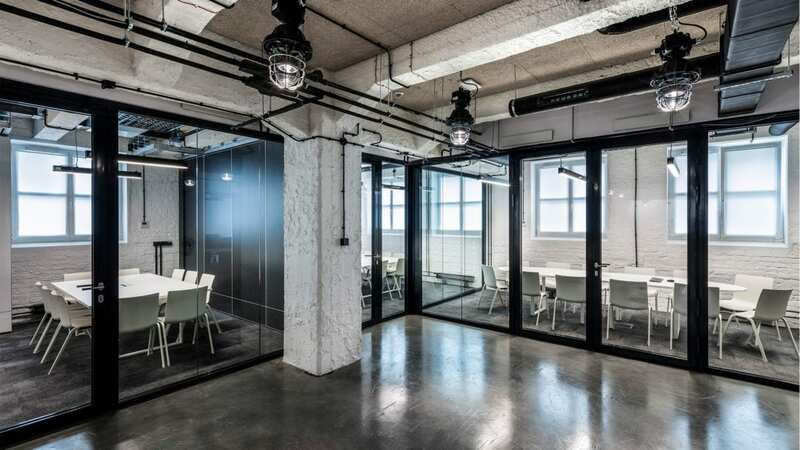 APA Wojciechowski architects is the office responsible for the Prague 306 project. This project is of great importance to APA Wojciechowski because the company found its new home on Prague 306`s, 32 Kamionkowska Street. Ms. Agnieszka Malik of APA Wojciechowski architects wrote an article about Alufire`s contribution to the project on SARP`s architectural magazine. Glass, concrete, and steel are the three basic materials that shape our new seat at 32 Kamionkowska Street. Glazed elements are of great importance here, not only for aesthetic reasons, but also because of their functionality and the safety they provide. The elegant, glazed stairway attracts the most attention in the interior, at the same time being the main escape route from all the floors. Such a combination required reliable glazing solutions that ensure safety in the event of fire, but still remain aesthetically pleasing. 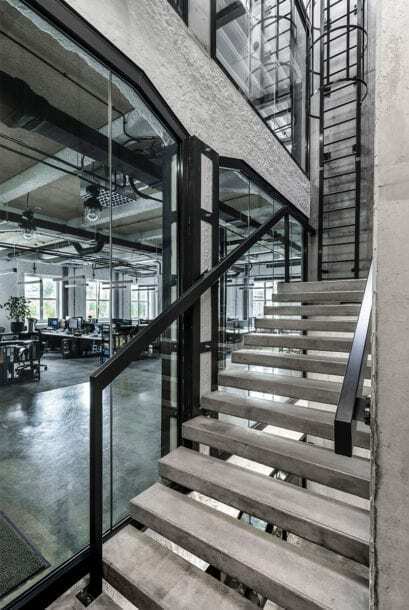 The building`s original structural components, with beam-to-column connections supported by slanting ferro-concrete reinforcements, presented an additional difficulty for the contractor. Glazed elements that were going to be fitted into this construction had to be compatible with the already existing complex geometry. In both cases, Alufire’s experience allowed to find a suitable solution and keep the details visually attractive. However, the works were not limited to the stairway – they also covered the conference rooms on the ground floor. Thanks to Alufire`s acoustic glazings, the conference rooms and the adjacent main entrance lobby, which are all characterised by considerable noise levels, can easily be used at the same time. Similarly, the glass partition wall between the kitchen and the open space area provides a solid acoustic barrier. Applying suitable partitions allowed us to keep acoustic comfort in these rooms, which in our opinion, is a matter of key importance for such spaces. For the sake of preserving the historical value and the natural look of the buildings in 306/308 Grochowska Street. The investor did not agree to apply external insulation to the building`s facade. Thanks to this decision, no original details were lost, and the facade looks just as it was intended to look.